Pearl comes in several different natural shapes. Other that the original, color itself, a high quality pearl will have a second overtone. The overtone might be reddish, greenish or blush color. “White-pinkish” or “White-silver” overtone is the most demanding colors on the market. The spherical shaped pearls are the most expensive, duo to their rarity. Most pearls are not perfectly round because of the uneven layered nacre. The luster is the shininess of the pearl included the highest luster, the shape and the reflection in the pearl. The nacre thickness will be inspected for pearls grading. If Pearls are with nacre thick than core nuclei that can be marked a grade high. Since pearls are naturally formed, it is normal that a pearl may have some forms of imperfection. Of course, the fewer spots or lumps that a pearl has, the higher cost of the pearls. 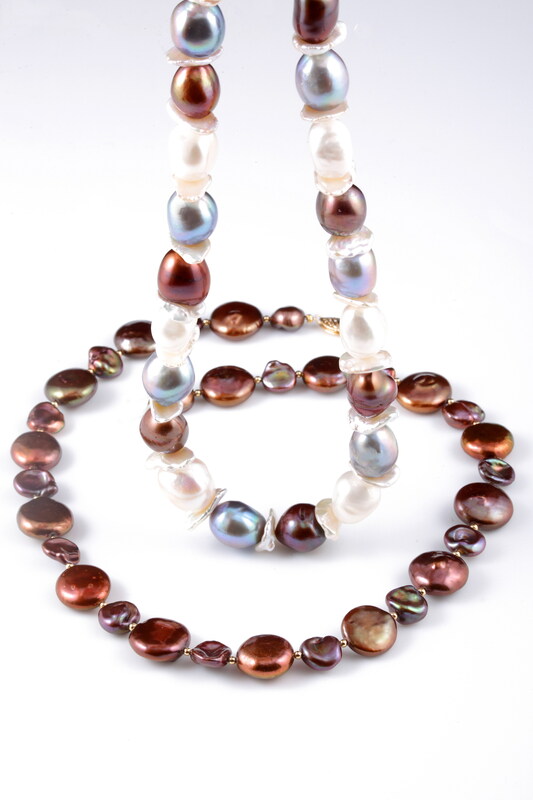 It means a string of pearl, each pieces of pearl in color, shape, luster, nacre and blemished as matching together.